For all kinds of room where people communicate, an optimal room acoustics adapted to the individual situation is important in order to make the room not too “live” nor acoustically dead. 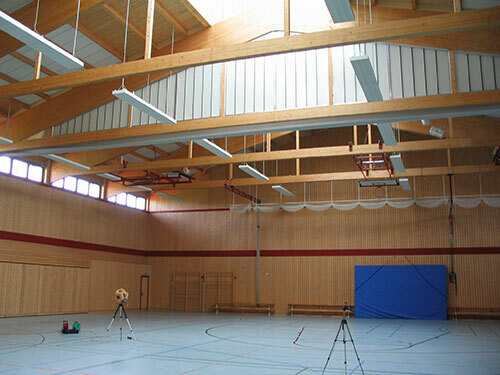 We measure room-acoustical parameters in rooms of any kind – ranging from the gymnasium over the classroom to the arched basement room going to be used for events. Alternatively, we can assess the absorption properties and Sabine’s reverberation time based on data from manufacturers or literature, and evaluate them according to DIN 18041, for example. 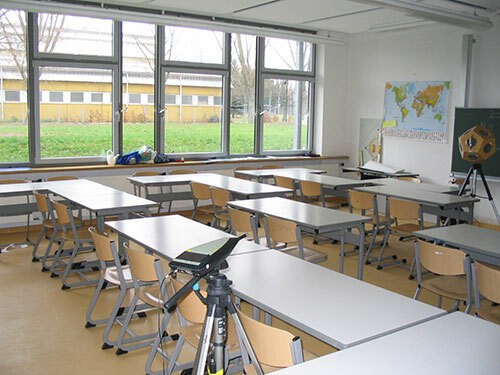 As needed, we design measures individually adapted to the situation that so much improves the room acoustics that the speech intelligibility becomes optimal. 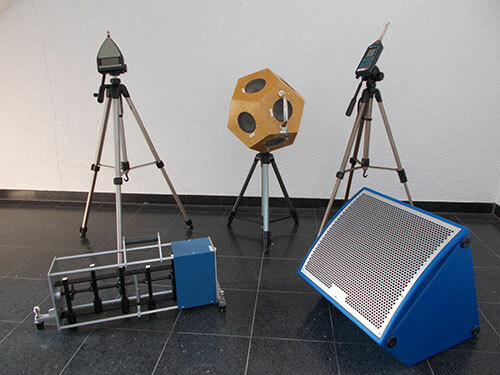 In order to conduct measurements prior to (and, of course, after) implementing measures, we have an extensive range of devices available, with a tapping machine, a dodecahedron loudspeaker as well as a frontage loudspeaker and a calibrated sound level meter.